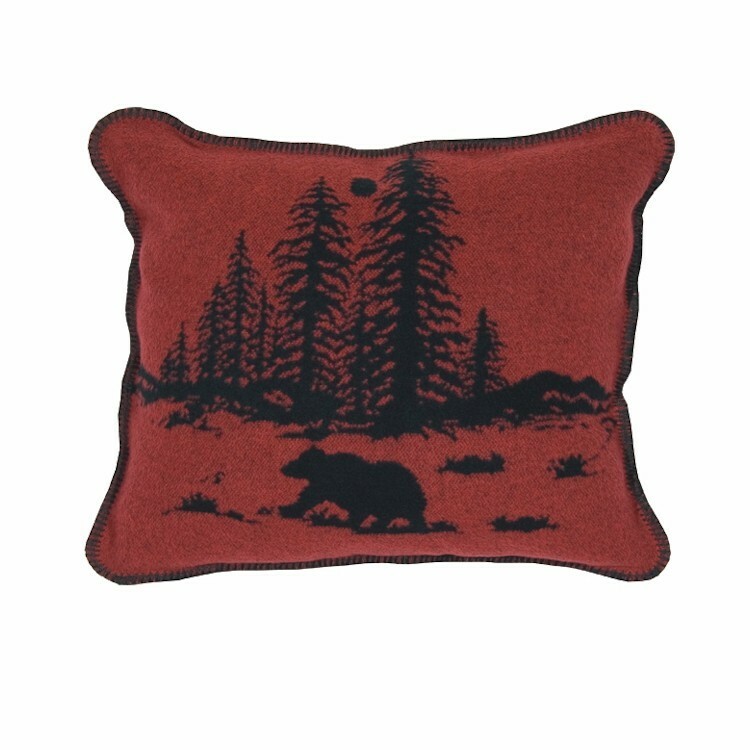 This rustic River Bear Accent Pillow is made of 30% new wool, 25% acrylic, 35% viscose and 10% polyester. Colors are predominantly dark red and black with just a touch of rustic green and yellow. Made in the USA. 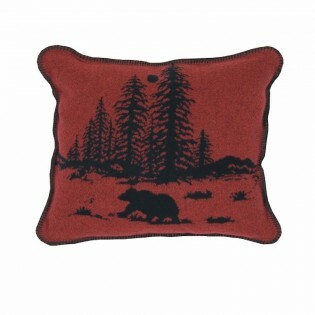 This rustic River Bear Accent Pillow is made of 30% new wool, 25% acrylic, 35% viscose and 10% polyester. Colors are predominantly dark red and black with just a touch of rustic green and yellow.